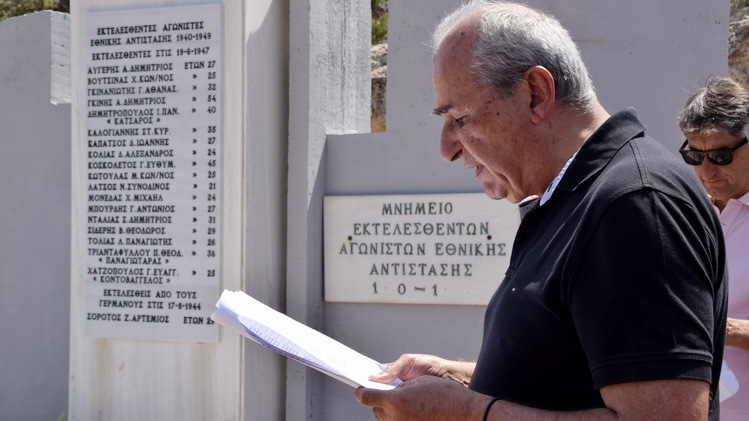 For the second consecutive year on 1st May a function of commemoration and tribute was organized by the local SYRIZA group of Aegina and held in the naval base at Tourlos, honouring the political prisoners executed during the German occupation and the subsequent civil war. Participating in the function were the Alternate Minister for Social Solidarity Theano Fotiou, the SYRIZA Europarliamentarian Stelios Kouloglou, the SYRIZA national parliamentarians for Piraeus 1st District and for the Islands Thodoros Dritsas and Eleni Stamataki and the SYRIZA parliamentarian for Athens 2nd District Christoforos Papadopoulos. In the course of the function a number of the participants laid wreaths and flowers on the monument. The co-ordinators of the local group Mr. Panagiotis Patsakios laid a wreath and flowers were presented by Mesdames Fotiou and Stamatakis, Messrs Dritsas, Kouloglou and Papadopoulos, the mayor of Aegina Dimitrios Mourtzis and the granddaughter of “Captain Moria” Georgakopoulos. The function was also attended by the president of the social organization of the Municipality of Aegina KEDA Mrs. Kaiti Salpea, the Deputy Mayor Panagiotis Marmarinos, the councilor Nektarios Leousis, and numerous citizens. I am with you to express my emotion, to condemn those who wish to stigmatize a different ideology, those who since seventy-one years ago when the last execution took place here unfortunately have not realized that in this country we are who we are, we are Greeks, we are Hellenes, we are Greece, without dividing lines, with different viewpoints, with the ideology of mutual respect, an ideology that is the greatest ideal we have within us, within our conscience, and it is not possible for anyone to take this ideology away from us. My hope is that the actions that took place here will never again occur in our country. This day that we are here I wanted all the groupings of the parliament to be here. Whatever mistakes there were, the policies behind them are to be condemned and we should show by our presence that something has changed in this Greece that is struggling to move beyond these narrow confines that have been imposed on us. I came here as mayor, with great emotion but also as a Hellene, to say that my presence here is necessary, irrespective of whether I represent, in an honorary capacity, this region. 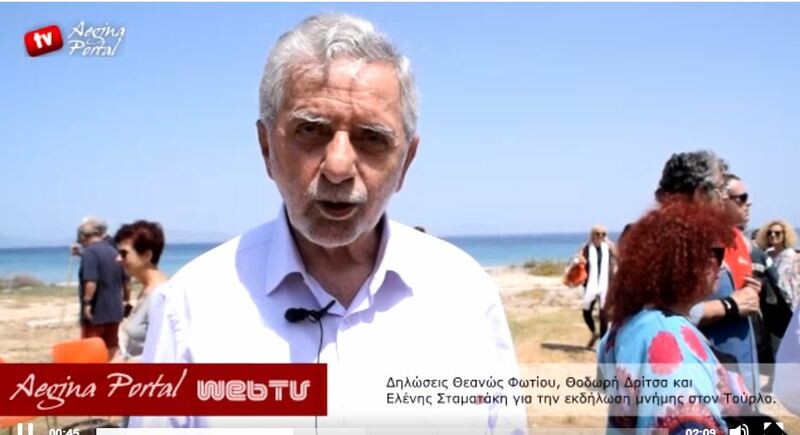 I come here as Dimitrios Mourtzis, to present, along with the condemnation of this behaviour, the message that we must at long last stop what has been plaguing us for so many years. The last execution took place here seventy-one years ago. Seventy-one years passed, unexploited. I address my friends the ministers that I see facing me, my friends of the Greek parliament, all the members of the municipal council, all the people who came here to declare their concern. 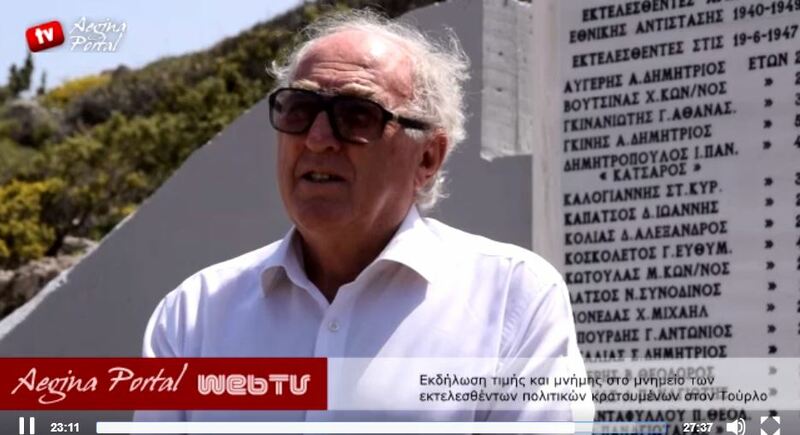 Statements on the function at the monument in Tourlos to the political prisoners executed during the German occupation and the subsequent civil war were made to Aegina Portal after the end of the ceremony by the Alternate Minister for Social Solidarity Theano Fotiou and the SYRIZA parliamentarians for Piraeus 1st District and the Islands Thodoris Dritsas and Eleni Stamataki. 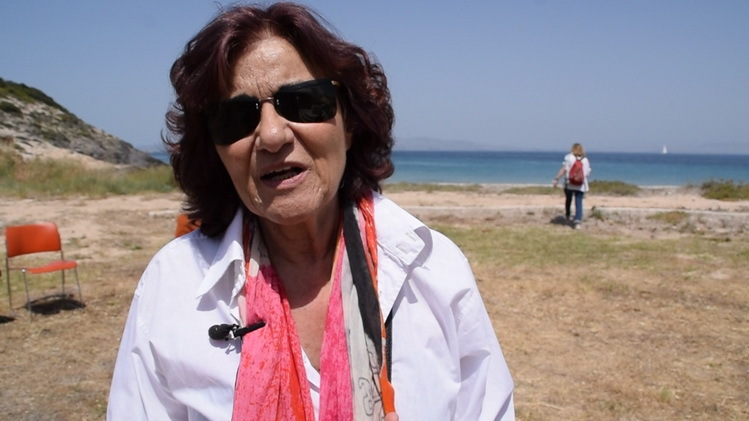 Theano Fotiou: “It is the first time for me that I am celebrating May Day in this way, honouring the executed activists of the National Resistance, and indeed in Aegina. Truly for me the whole function was serious. It was an opportunity for reflection on exactly what happened. On the one hand let us not forget, on the other let us learn and never ever allow fascism to raise its head again. Eleni Stamataki: “For us today is not a day of celebration. It is a day of commemoration and tribute. We remember and honour those who struggled, throughout the world, for equal rights and equal conquests and this is why we are here, on this sacred site where eighteen activists of the National Resistance were executed, surreptitiously and illegally. They are the ones we honour today. 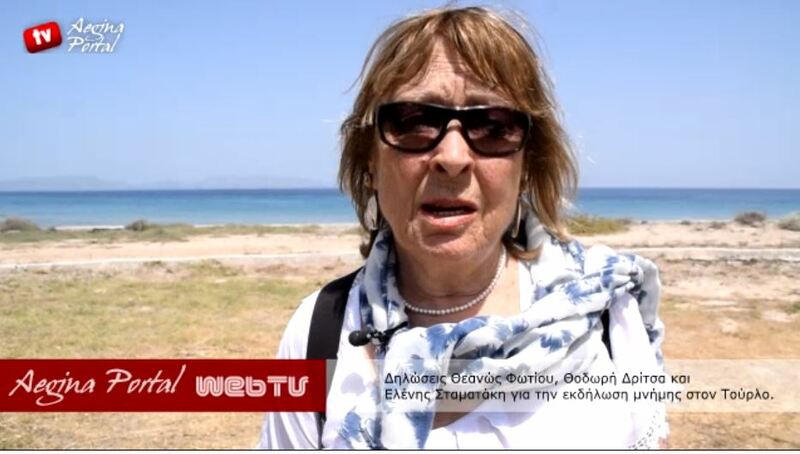 This entry was posted in Aegina and Democratic Imperialism, English by admin. Bookmark the permalink.